A VPN, the short form of "Virtual Private Network", is a technology that allows your computer to securely connect to another computer over the Internet. Due to it, we can keep our data safe, or have access to websites that (under normal conditions) would only be available to the people who live in a particular region of the globe. People who make use of virtual private networks are able to bypass most Internet censorship mechanisms. However, it is important to understand that VPNs were invented because businesses wanted to make sure that their employees can access the company servers without risking the integrity of their confidential data. Nevertheless, more and more people have started to use virtual private networks for a different purpose lately. Their Internet service providers (ISPs) are now allowed to collect and sell logs that include the URLs of the visited websites, the amount of time spent visiting each site, and so on. It's quite scary, I know, but fortunately VPNs can often times solve the problem for good. Read this article to understand the technology that makes this possible. So, how does a VPN work in the first place? 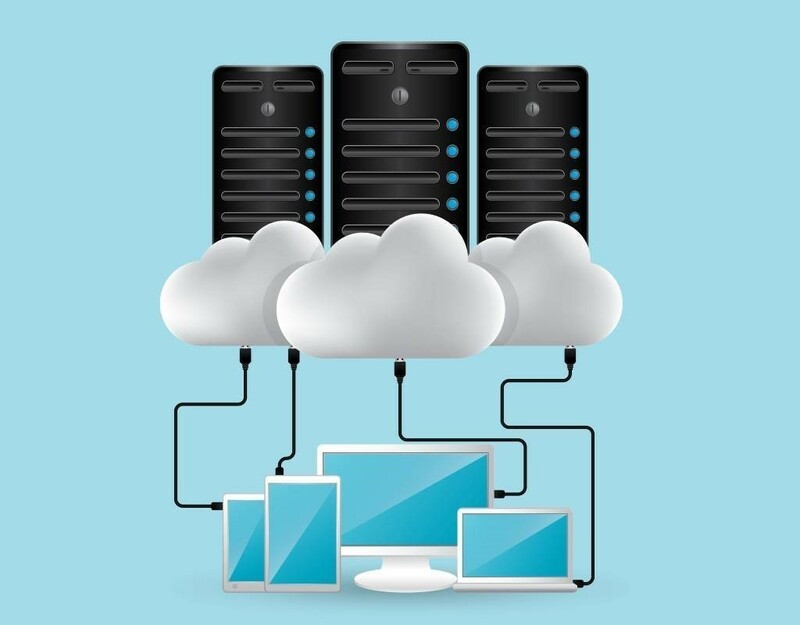 First, your computer, laptop, tablet or phone connects to one of the cloud-based servers that are either owned or rented by the virtual private network service provider. Then, since you are a part of that network, you can use the server's IP address to access the desired websites. The owners of the visited sites will only see the VPN server's Internet protocol address, so they will be unable to track back the activity to your device. As you can imagine, a virtual private network server is used by hundreds (if not thousands) of different individuals at the same time, so your online activities should remain anonymous. This doesn't mean that a VPN is 100% secure; your Internet activity may be logged by the service provider itself! Still, most providers won't disclose this information to anyone, unless you are doing something illegal. Here are the typical VPN usage scenarios. 1) As I have already mentioned, virtual private networks have the power to prevent your Internet service provider from monitoring the websites that you are visiting. This may be of help indeed, but keep in mind that any VPN, no matter how fast, will reduce the speed and increase the latency of your Internet connection. 2) You can use a VPN to access your company network servers while you are traveling. In fact, most enterprises have been using their custom built VPNs for this very purpose for several years now. This way, local company information and resources will not be accessible to people who are trying to access them, even if you are using a public network (a free Wi-Fi connection in an airport, for example). It goes without saying that you can use the same mechanism to access your home network when you are away from it, of course. 3) VPNs help people access geo-restricted websites and bypass Internet censorship. Lots of people use virtual private networks to access online movie sites while they are traveling to countries where these sites are restricted, based on their visitors' IP address. So, even if you are in Greece, for example, you can use a VPN that utilizes a US-based I.P. address to access your favorite American websites as if you were at home. Most VPN services will only cost a few dollars per month, so anyone should afford them. However, if you are an advanced user, you can try to build your own VPN server. There are lots of detailed guides that show how to do that on the Internet – this one, for example.